Falls, electrocution, drowning, loss of limbs — the injuries that can occur on a poorly maintained property can be serious, event fatal. The law requires property owners to take steps to ensure the safety of those who are lawfully on their property. But “premises liability” laws are different depending upon whether the property is public, private, or government property. 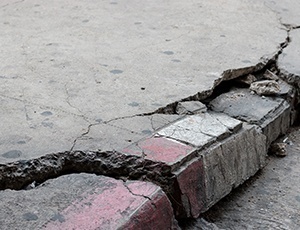 If you were injured because of a property owner’s negligence, contact a lawyer who has experience with California premises liability law — and do so quickly, especially if you were injured on government property. You have a limited amount of time to bring a claim, and it must be done in the proper manner. The Law Offices of Suizi Lin have helped injured people get the compensation they need and deserve for their medical bills, lost wages, and financial losses. Evidence disappears quickly as property owners clean up in the aftermath of an accident and quickly move to fix the conditions that caused the injury. Handrails get installed. Warning signs appear. Carpet is replaced. Without swift investigation it becomes difficult to prove premises liability cases in court. The Law Offices of Suizi Lin has experienced investigators to promptly gather evidence. If you or a loved one has suffered a serious injury on an unmaintained property, contact The Law Offices of Suizi Lin. We have the experience you need to get results.